If you’re interested in reducing how much waste ends up in your company’s dumpsters in Atlanta , then you may benefit from learning about sustainable materials management. Sustainable materials management (SMM) is an approach designed to utilize materials more effectively and efficiently throughout their lifecycle. The SMM model examines how materials are manufactured and how they can be used and reused in a way that is more productive and sustainable. Some of the strategies that are implemented in the SMM approach include reducing material toxicity to make it more environmentally friendly, getting more value out of materials by using them more wisely, and sourcing materials with consideration for the world’s needs in the future. The SMM approach begins from the start of a material’s life cycle, including how it is extracted and manufactured, and it continues through its distribution, usage, and disposal. More specifically, the Environmental Protection Agency’s Sustainable Materials Management Program for fiscal years 2017 to 2022 prioritizes the areas of the built environment, sustainable food management, and sustainable packaging. Finally, the program’s goals involve decreasing disposal rates, reducing environmental impacts, increasing socio-economic benefits, and increasing the ability of various groups to implement the SMM approach. 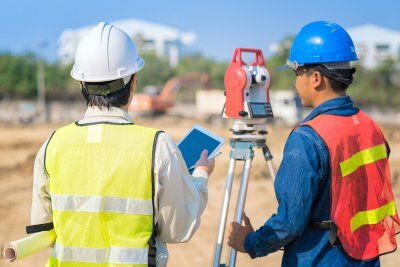 Whether you are demolishing an existing building, or are creating a brand new structure, your waste management plant needs to start with a thorough site evaluation. During your site evaluation, you will create a detailed list of the types of waste materials that will be generated throughout the course of your project. Using this information, you will be able to obtain the resources that are necessary to recycle or repurpose the majority of your construction waste. A waste management company can assist you with site evaluation services. In order to ensure that your construction site is as waste-conscious as possible, you will need to get your entire team on board with your waste management plan and protocol. It may be necessary to develop an assembly or deconstruction protocol that prioritizes waste reduction. During the building process, focus on using materials that are eco-conscious and built to last. Finally, your waste management plan should also include strategies for recycling excess materials, whenever possible. To ensure that you are reducing waste as effectively as possible, it may be necessary to get in touch with a waste management company that serves your area. With professional waste management services, you will have access to the dumpster rentals and recycling tools that are needed to manage materials on your site. A team of waste management experts will be able to help you create an efficient and effective waste reduction plan that you can easily implement on your jobsite. When you are seeking LEED certification for your next building project, make sure to read up on the construction waste management requirements that are included as a part of the LEED program. In order to qualify for LEED certification, a contractor must recycle a certain percentage of waste that is generated during the building process. By scheduling trash pickup and recycling serving Atlanta, you can make sure that your waste management protocol is in accordance with LEED certifications. Let’s take a look at some LEED construction waste management requirements that you may want to keep in mind for your next jobsite. The first step of creating a construction waste management plan that follows LEED guidelines is to identify the site’s main sources of waste. Some examples of construction waste include cardboard, scrap metal, and excess timber. Once these waste sources have been identified, the team of contractors can create a sustainable recycling plan for the construction site. Under LEED guidelines, there are certain types of waste materials that do not qualify for the program. Materials that cannot be recycled or reused in order to qualify for LEED credits include soil or materials that have been unearthed during the land clearing process. While these materials should be disposed of in an environmentally friendly manner, they cannot be counted towards a construction site’s total amount of recycled or salvaged materials. 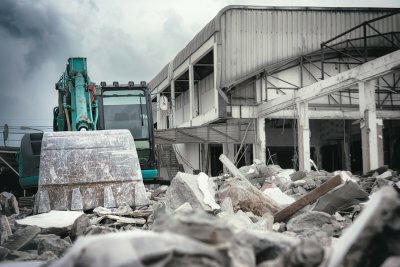 LEED guidelines state that construction sites must divert a minimum of fifty percent of their construction or demolition materials to recycling facilities. If your site will be relying on a three-stream recycling protocol, you must recycle 50 percent of your total construction materials. Sites that rely on four-stream recycling protocols are required to recycle at least 75 percent of their total waste. By providing the U.S. Green Building Council with documentation of your green waste management efforts, you will gain points towards your building’s eventual LEED certification. Commercial kitchens are notorious for generating large amounts of waste. From uneaten dishes to food preparation scraps, your restaurant may create excess amounts of wasted materials that are thrown out every single day. 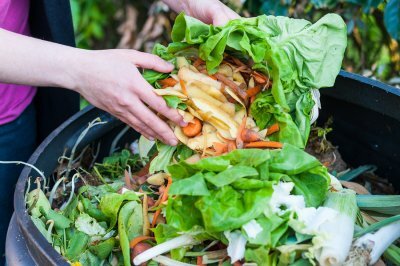 A company that offers waste management and recycling serving Atlanta can help you audit your restaurant’s trash and recycling in order to create an effective strategy for waste reduction . To help you reduce, reuse, and recycle in your kitchen, read these tips for reducing commercial kitchen waste. When fresh produce goes bad, it will have to be thrown in the trash. Since spoiled produce items can make up a large portion of your restaurant’s daily food waste, it is essential that you monitor your fresh produce order daily. By ordering only what you need for your daily service, you can cut back on the amount of food that you end up tossing out at the end of the week. You can also keep your produce from spoiling by using older items first, before they start to go off. Keeping food items at the correct temperature is a critical aspect of food service safety. If your refrigerator or freezer is not dialed to the right setting, you may end up throwing out a week’s worth of food that has gone off. To reduce commercial kitchen waste, you will need to make sure that all of your workers are aware of the importance of proper temperature control in your kitchen. Many of the pantry items in your kitchen will come to you in cardboard boxes or other packages that can be recycled. If you are looking for an effective strategy for reducing commercial kitchen waste, you may want to create a recycling program for your employees. During each shift, your workers can break down boxes, wash out cans, and prepare other types of packages for the recycling bin. Recycling, rather than throwing out, these items will dramatically improve your restaurant’s environmental footprint. Trash bags and other forms of plastic waste have a significant impact on the safety and wellbeing of ocean creatures. In this video from National Geographic, you will take a dramatic look at what is like for a marine creature to become trapped in a plastic bag. With proper waste management in Atlanta, you can do your part to protect our oceans. If you would like to set up plastic recycling services for your home or business, be sure to get in touch with a qualified recycling center that services your local area. Your waste management professionals can help you create an ocean-conscious recycling program that helps to preserve our marine life for many generations to come. Instituting a recycling program for your office is an excellent way to make your business more environmentally friendly. However, taking steps to reduce your need for waste management and recycling in Atlanta is another approach to promoting a greener office. 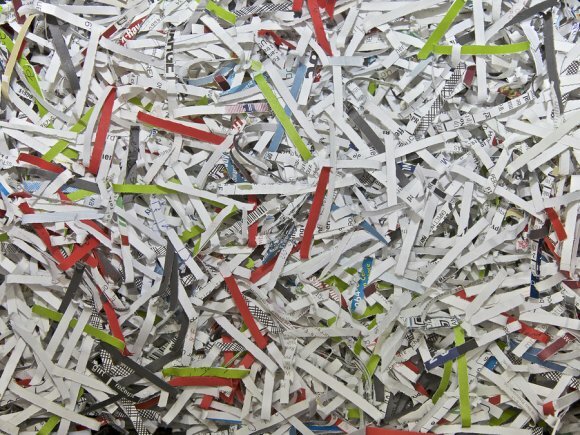 Watch this video for tips on reducing the amount of paper that your office uses. The average office worker goes through about 1.5 pounds of paper each day, which is an amount that can add up quickly. In addition to using recycled paper and recycling bins in your office, you can make your business greener by reducing your paper use and going digital as much as possible. Also, instead of printing off articles, read them on your computer or mobile device. When you do need to print something, print only the pages that you absolutely need to reduce your paper use. You’ve heard about how recycling serving Atlanta is an environmentally-friendly practice, but you might not know why it’s so important to protect the environment in the first place. Responsible waste disposal makes for an investment in our future and can limit our use of nonrenewable resources, which can in turn have an impact on our overall social consciousness. The right waste management program can even save you money and help to stimulate the economy. If you’re thinking about going green, please continue reading to find out why sustainability is so important. If we want our future generations to thrive, we have to pay attention to the way we shape the world they’ll be living in. In order to be sustainable, we need to figure out how we can limit our use of nonrenewable resources and follow more environmentally-friendly practices. Recycling is an excellent example of a “green” practice that can help secure a healthy planet for future generations to enjoy, but there is much more to be done as well. Businesses can seek waste management professionals to advise them on how they can adapt and become more sustainable. The fact that people are embracing the idea of protecting the environment is a great sign. It’s becoming more and more difficult to ignore the impact that we have on the environment, and nothing will change unless the whole mindset of our society commits to being more responsible with our waste management. Initiatives like recycling and solar energy are already helping to mitigate the damage that humankind does to the environment, and the concept of sustainability has opened the door for discussion. It’s not just the environment that benefits when you practice sustainability. 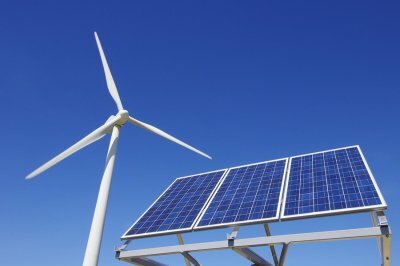 By using renewable energy sources, we save ourselves money and stimulate the economy. Even recycling can put money back in the pocket of the consumer while keeping reusable waste out of landfills and putting them back into circulation. If you want to fill your wallet instead of another landfill, think about how you can contribute to our society’s sustainability. You may know quite a bit about waste management, but are you sure that everything you know about it is the truth? The way you handle your waste near Atlanta affects your business’ bottom line, the environment, and potentially even your health. You may have heard that landfills are the way to go when it comes to waste, or that it’s safe to throw products in the trash without checking their labels. You might also be under the impression that recycling is all we can do to practice responsible waste disposal. Read on if you’re interested in debunking these common myths. Typically when you throw your trash out and the garbage truck comes to pick up your cans at the curbside, your waste will end up in a landfill. 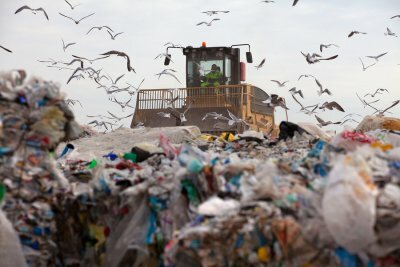 Unfortunately today’s landfills are reaching capacity, and they are also not the best solution when it comes to the environment. Irresponsible waste management practices cause hazardous materials to end up in landfills as well, further harming the environment. Every time we add to landfills, we miss the opportunity to recycle or repurpose those usable materials and put them back into circulation. It’s not always safe to trust the label on a given product. Even if a product label indicates that it isn’t hazardous, you should look into it before you throw it away. Environmental regulators can help you determine the safest and most efficient way to dispose of a given product. 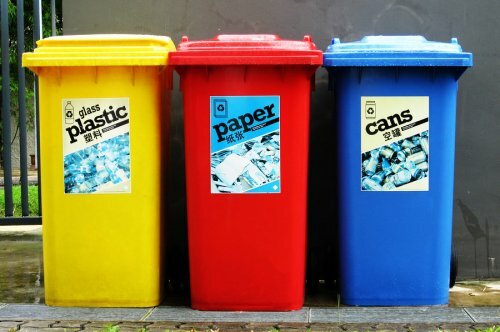 If you want to do your part to help the environment, recycling is a great start. This practice ensures that waste that would otherwise end up in a landfill is broken down and reused as a brand new product. This helps to spare natural resources and even stimulates the economy, but it’s not the only thing you can do to help. Extra waste is generated when people buy things they don’t need, so try to avoid buying anything that you might not use. If you do, consider donating it instead of throwing it out. If you want to go green with your business practices, you may want to focus on improving the sustainability of your company . Sustainability is a term that encompasses many different factors, such as waste management, recycling, and use of resources. By committing to recycle your unused goods, rather than sending them to the trash pickup, you will be able to improve the sustainability of your company. A company that offers recycling serving Atlanta can provide you with additional information about the sustainable benefits of a recycling program. Recycling improves the sustainability of a company in a few different ways. 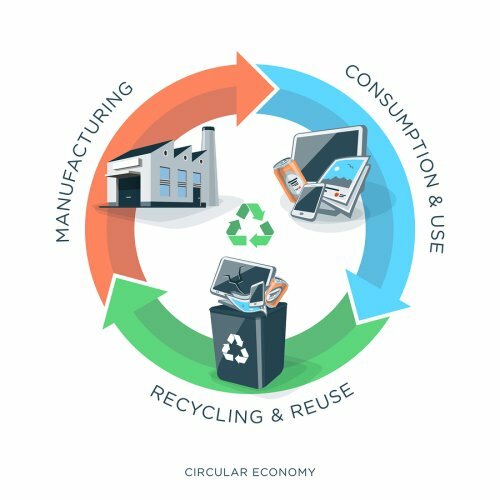 When you choose to recycle, you will cut back on the natural resources that are consumed by your daily business operations. Plastic recycling also frees up space in landfills. Finally, smart recycling practices can also help to cut back on the carbon footprint that is created by your company. Choosing to recycle is a component of any sustainable waste management program. Mixed-use developments are among the most popular types of new construction in the Atlanta area. When you create a mixed-use facility, it will be up to you to meet the diverse waste management needs of all of your clients. With the help of the team at Southern Waste & Recycling , you will be able to create a waste management plan that is suited for every tenant in or on your property. Our team can implement all types of waste management, including the strategic placement of recycling bins and trash cans. In addition, we can also assist you with junk removal both during and after your initial construction. By hiring our company offering recycling services serving Atlanta, you can rest assured that your waste disposal program will be friendly to the environment and convenient for your tenants and customers. We look forward to helping you create a waste management plan in the near-future.